As the holidays are quickly approaching there are ample Northwest wines that are natural go-tos for the occasions that are on the horizon. None of them perhaps more suited than sparkling wine. Oregon's Argyle Winery got its start back in 1987 in Dundee, Oregon. The winery took shape in what was once an old hazelnut drying facility and set up shop in the heart of Dundee, right along route 99. The "nuthouse" along with the idea of repurposing older buildings would become a major part of the brand's identity. And it is that, along with their sparkling wines that have probably continued to set them apart. While making outstanding wine is an artform of sorts, Argyle has also decided to throw their support behind the students at the Pacific Northwest College of Art. Partnering with the school to create a limited edition set of labels crafted by students who were selected by a jury. 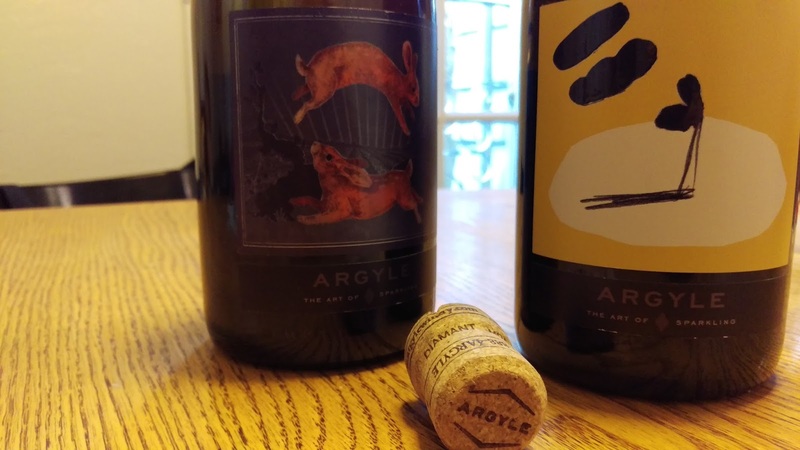 From Argyle: "The three participating students were jury-selected from a large pool of applicants to receive an immersion in Argyle’s winemaking process. Each student produced a work that reflects a creatively researched understanding of Argyle Winery and the surrounding Willamette Valley wine-growing community. Sparkling wine like the Pinot Noir that this part of Oregon is so well known for takes a focus on how nature will set you up for the end result you're looking for. Winemaker Nate Klosterman who learned so much from Oregon's sparkling pioneer Rollin Soles has his approach dialed in. "We’re still looking for the same intersection of ripe fruit flavors and natural high acidity that we look for in cooler vintages, however the window to capture this intersection is much smaller, which leads to a very tight picking window. Growing fruit at higher elevation allows us enough of a window to get everything picked in short order in a warm vintage." Sparkling wine is most famous from the cool region of Champagne, and as many are aware Oregon's Willamette Valley has seen a string of warmer years. How does that shake out for a sparkling wine? "With warmer vintages come riper, more dense base wines. Correct pressing technique is critical to maintain vibrancy and elegance in these base wines. Pressing cold fruit at low pressures for a longer periods of time will allow for much lower phenolic and color pick up, which will improve elegance. In warmer years, we will conduct lower percentages of malolactic fermentation in the base wines than we would in a cool late year to capture more freshness rather than richness. Before disgorgement, the dosage trials will be looking to enhance acidity and freshness more so than richness. This is accomplished by using dosage “vehicle” wines from older sparkling base wines that we keep in barrel rather than still wine chardonnay." The 2013 Vintage Brut is from a warm even growing season that turned to a bit tumultuous as it wrapped up. A blend of 60% Pinot Noir and 40% Chardonnay, this wine is honeyed across the aromatics and palate. With plenty of cut apple and a hint of chamomile. If you're interested in grabbing the limited edition pack in time for the holidays you better hustle. It's here. For Marie Eve of Forgeron Cellars, it begins in the soil. When she was a young girl, she was always playing in the dirt. It’s no wonder then, as she grew older, she developed an interest in chemistry, studying it in college and her initial interest in soil, combined with her new knowledge of chemistry translated to a love of wine-making. Marie Eve chooses her grapes from the finest vines across Washington State, visiting each grower and hand selecting the clusters that will be used to create her wines. It is no accident when a particular vineyard or AVA is chosen for a Forgeron wine. Marie Eve utilizes each region’s individual terroir to influence each wine’s unique characteristics. While soil is only a part of what contributes to the terroir of a specific vineyard, its influence may be the most essential. 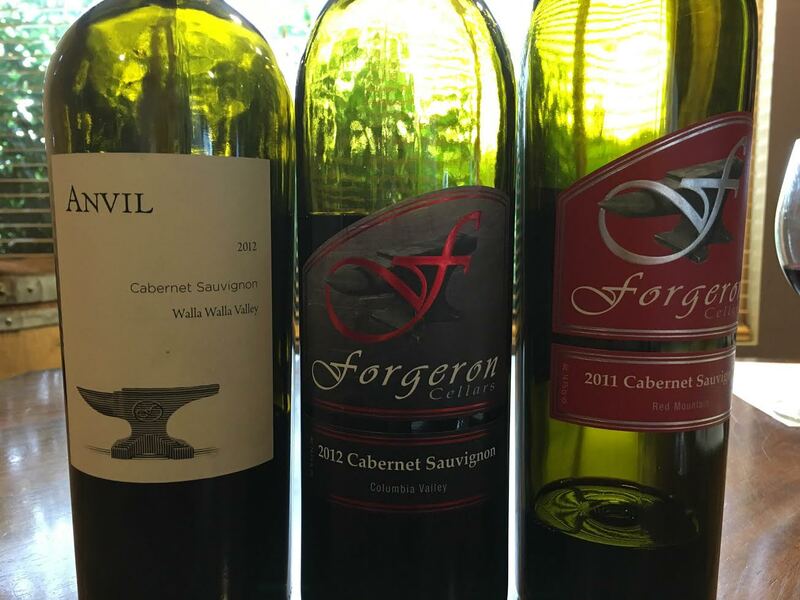 This summer, Forgeron Cellars offered an “Experience Cabernet” event to the public, focused on offering wine enthusiasts and members of their wine club Societe a chance to compare three wines across a single variety all made from Washington grapes in different parts of the state. The goal was to allow participants to experience first-hand what the terroir of a region contributes to a vintage, as well as learn more about characteristics of Cabernet Sauvignon world-wide and the history of Cabernet in Washington State. Summer is an important time in any growing season. Having grown up on a farm, I’m most reminded of my upbringing when the heat bears down on the Pacific Northwest, bringing sun to Seattle and gold to the fields East of the Cascades. My own farmer father is constantly reminding me about the impact soil can have on crops and, aversely, the impact a grower can have on the soil, which immediately drew me to Marie Eve’s story. The bottom line is – soil matters. These are three fantastic Cabernets, created by an inspiring woman, each chosen because of the unique terroir of the region or vintage and an excellent chance to see what this grape can do across the state of Washington. Sourced from three different AVA’s (Columbia Valley, Walla Walla Valley and Red Mountain), each area was selected to contribute specific characteristics; Walla Walla’s warm growing region and loess soil likely adding earthy spices and Red Mountain contributing a tannic structure and robust desert red hue. The aromatics on this wine are spice forward with roasted herbs on the upper lip and dark fruit deeper in the glass. It tastes young and full-bodied on the palate with hints of pepper, plum, chocolate and coarse tannins. It has a lasting finish with just a ghost of tart which leaves you eagerly awaiting the next sip. With just over one year in the barrel and priced at $35 this is a great wine to keep on hand for social events. Grapes from the Lacoye and Hightower vineyards in the Red Mountain AVA contribute power and spice, with quite a bit of austerity. While normally the warmest AVA in the state of Washington, this particular vintage in Red Mountain was much cooler, and Marie Eve picked it specifically to highlight what a site could do in difficult growing conditions. On the nose, this wine is intensely sweet with bright aromas of strawberries and vanilla, making its dark cherry palate with chalky tannin and silky moderate finish a true delight. This is a full-bodied, smoky wine and priced at $45 is an excellent treat for guests or personal use in pairing with bold cheeses. For Marie Eve and Forgeron, ANVIL wines are the top tier label and much more rare than similar wine varieties. This particular ANVIL is sourced from the Walla Walla Valley (Pepper Bridge and Minnick Hills vineyards) which both provide a slow, full-ripening allowing for good aging. Aged for almost two and a half years in 100% new oak barrels, there is an immediate earth aroma on the nose as well as deep plum. The palate is full of smooth, rich plum, oak and warm cigar smoke that lingers long on the finish like a haze in the air. 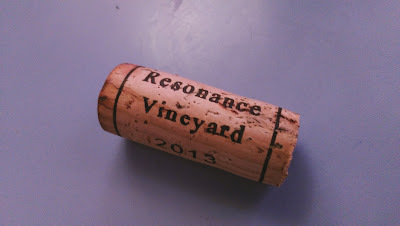 The Resonance Vineyard has been one of the Willamette Valley's gems for some time. It is perhaps less well known than places like Shea or Temperance Hill, owing to its small size, but it has long produced wines of intensity and focus and has overtime become synonymous with the name Peter Rosback and Sineann Wines. The vineyard has long been organic and is certified biodynamic; it was planted in 1981 by the Chambers Family. A warm site in the cool Yamhill Carlton AVA. 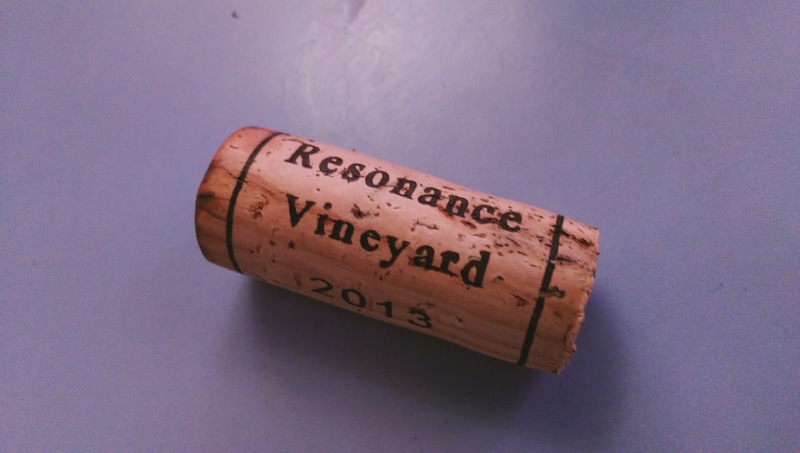 In addition to the Sineann Wines, there have been well received bottlings from Big Table Farm and Lemelson from fruit from Resonance Vineyard. The vineyard is on its own rootstock and includes nineteen acres of Pinot Noir including the clones Pommard, Wädenswil, and Dijon 777 as well as a bit of Gewurztraminer (one and a half acre). The wines from this site are always single vineyard bottling material. The Resonance Vineyard fruit reliably produces wines of intense elegance. There's a mineral emphasis, a core of layered fruit and perhaps what makes it stand out the most is the incredible, refined structure. 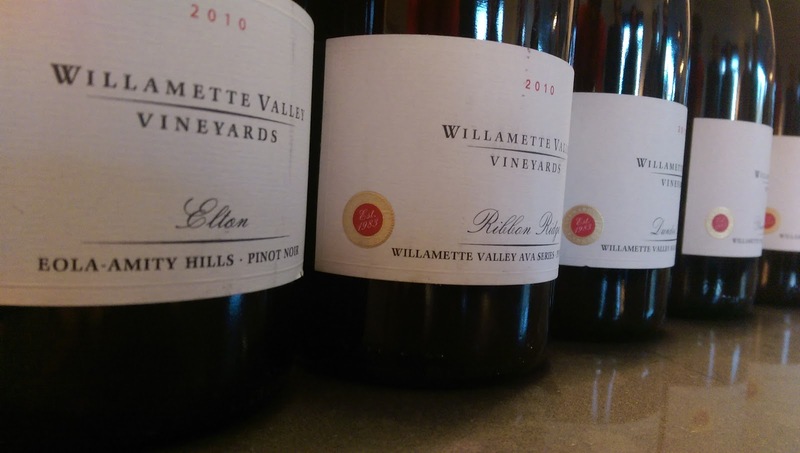 The site is a Willamette Valley original, while perhaps not as old as a handful of plantings by the pioneers, it is certainly among the Valley's founding vineyard sites. All of these features caught the eye and perhaps more importantly the palate of the folks at Louis Jadot, the famed Burgundy negociant. A winery that has been in operation since 1859 and in the business of vineyard acquisition since 1826. 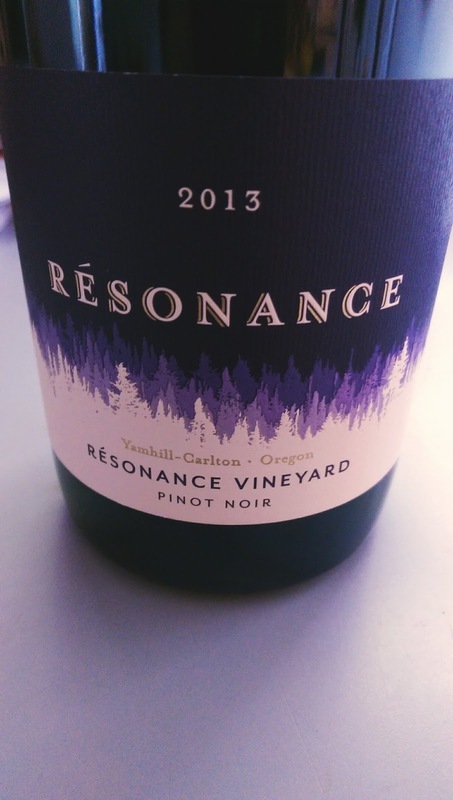 This then is high praise for the potential they see in Oregon and in the Resonance Vineyard. This is a site that has always made notable wines and so in getting their foot in the door the folks at Jadot went straight to one of the Willamette's gems. After forty two years heading up the wine production at Jadot, Jacques Lardière decided it was time to retire. However that retirement was short-lived and he was called into service by Jadot to head to the Yamhill-Carlton AVA and head up the stateside production. These are the only wines and the only vineyard Jadot has ever made outside of France. Lardière is producing the wines but also keeping tabs on the vineyard and learning about what makes Oregon so special. The wines are being made at the Trisateum facility initially, but they will likely continuing growing their Oregon presence and footprint. In the first wine that the Jadot has produced you have a perfect blend of what is purely Oregon with a winemaker who has for a long time made very classic Burgundy. The wine is stunning. Washington state has long been a hotbed for Syrah. A wine that the industry will tell you they have a tough time selling. It is perhaps a blessing and a curse then that Washington seems to make the best Syrah in the New World and perhaps outside of certain special pockets in the Rhone Valley, the whole world. It has been Syrah that while not putting Washington on the map, has raised its profile as a world class wine producer. The grape is still fairly young here with its first plantings in 1986 in the Yakima Valley, at the state's iconic Red Willow Vineyard. The collaboration between wine grower Mike Sauer and wine genius David Lake launched what has become Washington's most important wine grape. The wines of Cayuse, Betz and L'Ecole have come to be known for their Syrah, and new labels launched in recent years like Avennia, Kevin White and Rotie Cellars have shown their brilliance with Syrah. It makes sense then that the people at Washington's founding winery, Chateau Ste Michelle would look to take Washington's signature grape to the next level with their Tenet Wines project. In a partnership with some of the most revered names in France's Rhone Valley, Chateau Ste Michelle looked to make the purest expression of Washington Syrah, (along with other Rhone varietals) that it could. Working alongside renowned Rhone winemakers Michel Gassier and Phillipe Cambie, CSM's Bob Berthau wanted to look at making the best Syrah from Washington possible. The collaboration, rather than starting in the winery began with Gassier in the vineyards. To begin with, cooler vineyard sites were selected. Looking at canopy, crop load, irrigation and other manipulable factors allowed the team at Tenet to end up with fruit that came in smaller clusters, with concentrated, but perhaps less opulent flavors, along with ample acidity. In the winery, the team looked at adding whole clusters, along with stems and rachis that give the wine more nuanced elements. This was certainly a diversion from the fruit focused wines typically produced by CSM. The whole clusters, along with extended maceration and only neutral oak created some very elegant, albeit powerful wines. The wines, each unique give a glimpse at the contrasts and similarities of Washington and the Rhone Valley. We all have more than one happiest day. They range across times, places and categories – adding lighter hues to moments at work, with family, on top of a mountain, or out with friends enjoying a glass of wine. For Bryan Otis of Matthews Winery, one of his happiest days in the newly remodeled Matthews tasting room occurred on June 25th – the day that Matthews launched its first ever Community Supported Agriculture (CSA) program. If you were to walk in the door of Matthews on June 25th, you would have felt a slightly higher than normal buzz in the air. The new tasting room is brighter (no longer reminding visitors of the “inside of a barrel”) with seating for large or small groups and two outdoor spaces. Amidst all this, on June 25th you would have seen, stacked neatly on a back table, the last few CSA boxes, overflowing with greenery, waiting for their owners to come and claim them. These seemingly unassuming boxes represent something much greater than their simple, elegant appearance – hours of brainstorming, careful growth, constant tending and an effort to extend the vibrant Matthews community into the homes of their greatest enthusiasts. All of the food in the CSA came from Matthews own Creekside Farm – named for the clear, spring-fed creek that runs through the winery’s property – located just feet from the main tasting room. Creekside has been producing food for over a year, providing flowers to the winery and produce to many local businesses including Sitka and Spruce and Damn the Weather. 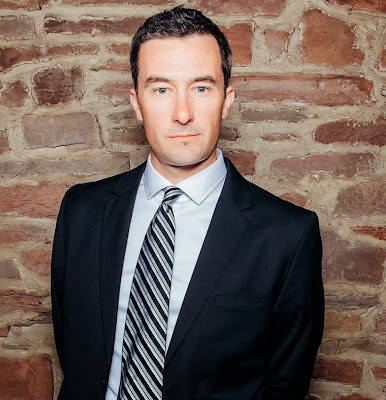 This year, Bryan Otis wanted to expand the scope of Creekside in a way that speaks to the passion for community shared by the family owners, and everyone at Matthews. “We make the wines that we want to drink,” said Otis, who continued on to say that, if you enjoy their wines, it makes sense that you would become a part of the Matthews family – as a consumer and a figurative extension of the actual family who runs the entire venture. Creekside and its new CSA program not only expands the family of businesses with which Matthews collaborates and supports, but encourages members of the CSA to bring that family atmosphere into their own homes. Carefully tended by local master farmer Alex Meizlish, the CSA program currently provides 14 members with fresh produce and locally sourced meats and cheeses, as well as a select bottle of Matthews wine over a span of 20 weeks. There is bread from The Commons, artisanal cheese and dairy products from Cherry Valley Dairy in Duvall, as well as local eggs and honey. Each box is carefully curated to provide families or individuals with the opportunity to savor an entire dinner experience – from the preparation to the finale – all accompanied by a phenomenal bottle of Matthews wine. I tasted my way through several of Matthews most popular wines while enjoying a baguette (The Commons), creamy Fromage Blanc and deliciously salty Herbed Rose Butter (Cherry Valley). I want to especially highlight their flagship Claret, which makes an appearance in each of the CSA boxes. The 2008 Claret has a red, desert clay color and an instant spice on the nose. The palate is dark and fruity with hints of blackberry and plum. This wine has a nice balance between earth and fruity flavors and long finish. It’s a young wine, so can be enjoyed immediately or stored for a number of years without losing any structural characteristics. The current CSA season is already underway, but if you’re interested in learning more about the farm and current CSA pricing, you can visit Creekside Farm’s page HERE. The current release of the CLaret is 2013 and it’s available for $40 here. The 10s were 10s they said, somehow, through all of that. The 2010 vintage in Oregon was tough, it was a year for the birds if you remember, a cool vintage, rainy and then there were those damn birds. In the Willamette Valley, in 2010 people were a bit on the nervous side come harvest, but not because of the condition of the fruit, it was damn near perfect. The cooler vintage meant that folks had to leave the fruit out there quite a long time, with many folks picking 2 plus weeks later than they did in 2009. Unfortunately it went long enough that most of it was still out there when birds started migrating south for the winter. That made the Willamette Valley a popular stopover for birds moving through for destinations in California, or as far south as Chile. The other factor at play was the impeding rain storms. Few vintages, even cool wet years are marked with a nearly universal end date. For 2010 it was October 23rd. The valley saw serious storms that day that lasted a few days, that was more or less the end of harvest 2010. Fortunately, most of October was just about perfect, and so, it may be argued are the Pinot Noirs. The previous cool vintage for Oregon to that point was 2007 and while those remain my favorites, what made them starkly different from the 2010s was that the 2007s were not so obviously fantastic so early. The 2010s were such a darling because the media loved them, from the jump. The same media that more or less damned 2007 loved the 2010s for the same characteristics, only the media has zero patience and the 2010s were good for people with the patience of a 5 year old, people like Harvey Steiman. In 2013 I wrote this about the 2010s I had been tasting: Alcohol levels are low across the board but the wines were plenty ripe from a flavor standpoint, thanks to that long hang-time and the lower yields, many vineyards produced half of what they would in a normal year. The result generally, is medium bodied wine, with lots of red and blue fruits, and really fine, pretty tannin structures. As great as they're drinking now, the acidity allows you to hold onto some favorites, it appears to be a very age worthy vintage. The winery has plenty of estate fruit but they also do an AVA series bottling to showcase the site specificity all across the Willamette Valley. Let's start in the north and work our way southward. Ribbon Ridge along the Chehalem Mountain AVA mark the coolest parts of the Willamette Valley and are reliably earthy, at least in my experience. 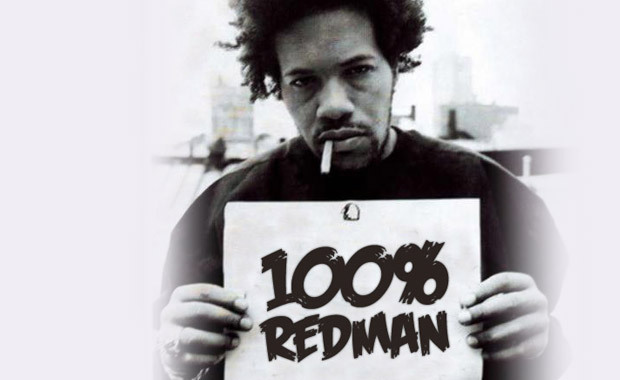 This 2010 bottling from WVV is from Redman Vineyard, which was a bit of a surprise to me because I was unaware that the New Jersey rapper had any stake in vineyards in Oregon, or anywhere for that matter. There's a lot to like in this wine, the structure comes to the fore, with great tannin and texture. This was a cool vintage but the palate is mouth filling and elegant, not the least bit meek, while it remains a bit angular. Aromas of brambleberry, turned earth and dried violets and a palate that is a core of blue fruit, wrapped in earthen minerality and dried fig. In the Yamhill-Carlton AVA the closest thing to a rapper is probably Byron Dooley and he owns the Luminous Hills vineyard which is one of the AVA's most dynamic. It's a kaleidoscope of soil types and exposures and as a result allows him to grow fruit with a variety of different characteristics. I tasted Byron's own 2010 bottling in 2013 from this vintage and it's interesting to taste the wine from a different winemaker and winery. The aromatics on this wine include a fair bit of clove and maybe even a note of cinnamon, all backed with a sweet blueberry note. The palate is more of an intensity of fruit than it's northern (sort of) counterpart. Flavors of black plum, fennel and a slight kiss of fresh mint that brings on the finish. 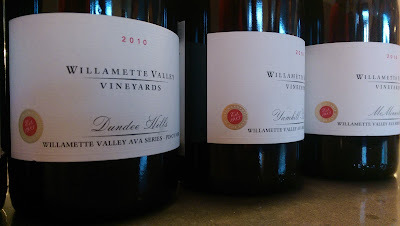 The Dundee Hills is pretty much the sweet spot for the whole Willamette Valley, it's damn near the bullseye and it's of course where David Lett set-up shop and paved the way for the best wine in all of America (Oregon Pinot Noir), if you ask me anyways. The Dundee Hills bottling from WVV is out of the Winter's Hill vineyard, which is just west of the Stoller estate. This is an impressive wine from one of the Valley's greatest AVAs, it is so loaded with floral and mineral aromas as to make you think it came from the Chehalem Mountain AVA. Red fruit intensity and minerality mark the palate of this wine, which I imagine was singing upon release. The structure has further buoyed it over time. Heading south to McMinnville AVA we land in the Momtazi vineyard, another growing site in the valley that has established a reputation for excellence. The vineyard itself is managed using holistic farming that integrates a lot of biodynamic practices. The wine shows up, six years on, with outstanding structure, and intense aromas of moss, earth and dried fig. Flavors of candied blueberry, herbs and soaring acidity. The WVV has most of its vineyard holdings in the Eola-Amity hills area around Salem, and so it makes sense that this is the first of the their single vineyard serious that is from estate fruit. There's an intensity of blue and black fruit aromas, dusty blackberry and clove. The palate is rich, lush and full of fruit. Black cherry, currant and black plums along with clove and cola notes. The finish is elegant, fresh and lively.